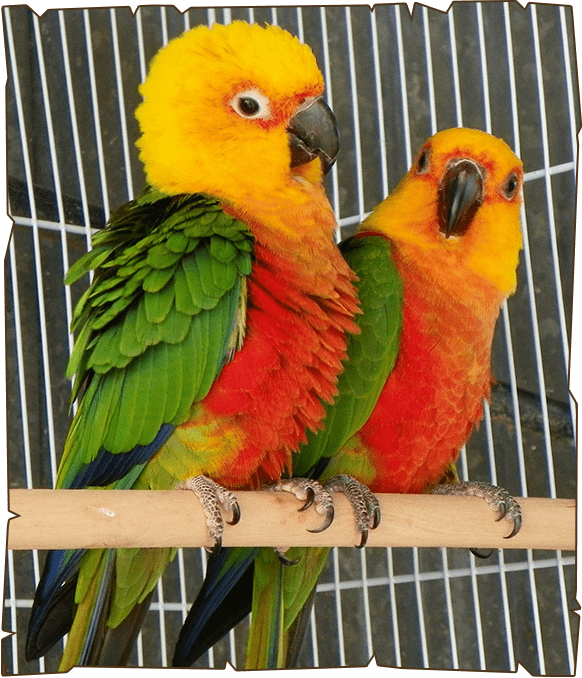 Conures have a reputation of being one of the loudest birds on the planet. These small parrots are highly intelligent, and can often learn several words and phrases, but are not known for their talking ability. They can be found in the north-eastern parts of Brazil. Their full life expectancy is 20 years and they generally live up to it. They live in pairs or small groups of 10 to 15 birds. They can be found in tree cavities in the woodlands. Tree hollows provide the perfect living location for these birds as it provides shelter that can hold heavy weight loads and easier access to food sources.